Have you ever seen something more beautiful and touching? This horse amazed me by beautify and grace. The set and music looks like taken from a fairytale, it’s almost unreal… Enjoy! We hear about talking birds, we see them, we look how cute some act but have you ever seen a bird to think it’s a dog? Well here’s one who has that feeling. Playing basketball, golf, playing dead and many other tricks, you name it. Smart, huh? 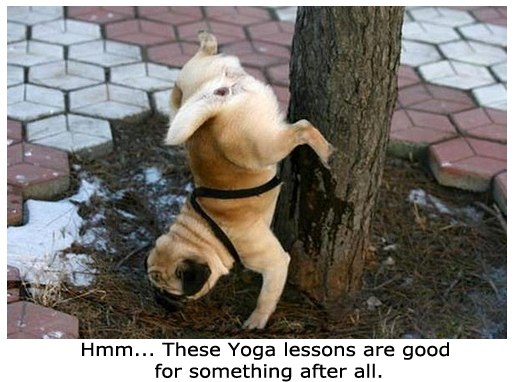 Weird Funny Dog Picture – Yoga?!? Woooah! I wish I could do that! Uhm… no, better not, forget about it. But we must admit that this can be classified as some sort of special talent in the dog world, right?